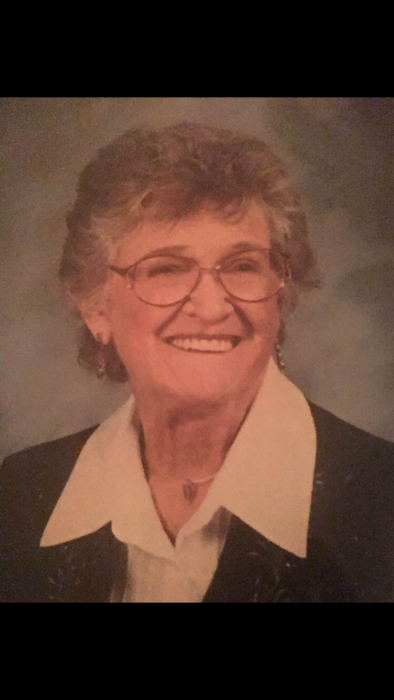 Jacqueline Margaret Clark Shelburne of Portland went to her heavenly home on November 18, 2018 at the age of 95. She was born on August 28, 1923 to Henry and Mary Clark in Eastport, Maine. She grew up in Eastport and then graduated from St. Elizabeth’s Hospital School of Nursing in Boston, Massachusetts as a Registered Nurse. She met her future husband, W.L. (Bill) Shelburne in Boston where he was stationed with the U.S. Navy. After World War II, they moved to Texas where they resided in Alice, Taft and Portland. She was employed at Alice ISD and at the hospital in Alice. After moving to Taft, she was employed at the Ewing Hospital and retired from the San Patricio County Health Department. She loved playing Bridge and played weekly until she was 94 years of age; enjoyed going to musical concerts and swimming in her backyard pool. She was a lifelong Catholic and a longtime member of Our Lady Star of the Sea Catholic Church. Mrs. Shelburne was preceeded in death by her parents, her husband Bill, her son Michael, her grandson Shawn, and her great-grandson Shawn Gonce. Survivors include her sister, Patricia Clark; her son Timothy (Kaye); her grandchildren Emery (Michelle), Matthew (Kimberley), and Shari (Kevin); her great-grandchildren Emery, Jazzmyn, Melanie, Brayden, Jacqueline, and Kash; and many nieces.